Staying active and involved is vital for our health, and also contributes to the health of our community. As a group, we strive to make fitness a joyous and fun occasion. 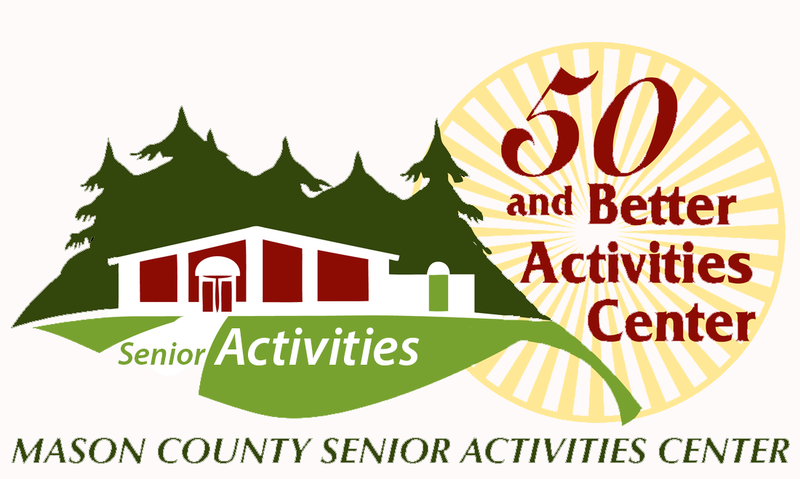 Our Center provides a place to be active together, as our Association encourages a fit, healthy and active 50+ community. Helps with mobility, muscle strength and concentration. 8:45 am - 9:15 am. $1 donation suggested per session. 8:05 am - 8:50 am. Heart-healthy aerobic exercise, plus fun and friendship. Heart Healthy exercise, plus fun learning new ballroom dance steps in a fun, casual atmosphere (with or without a partner). Call for scheduling. $1 donation suggested per session. 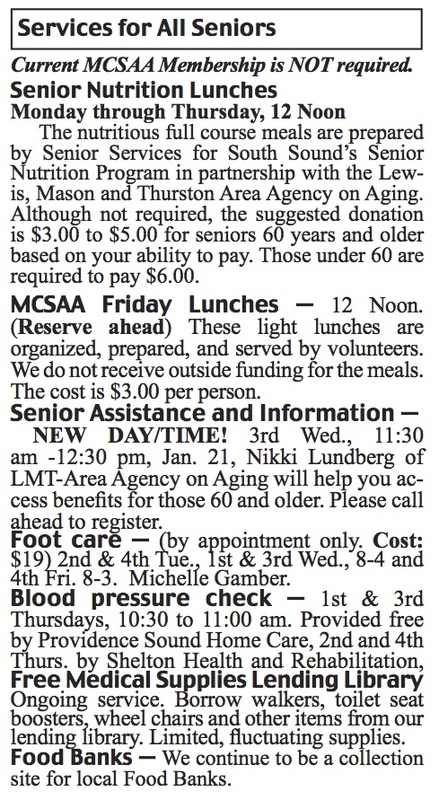 The Senior Walkers meet Tuesdays, at the Center at 10 am, before traveling to their walking destination for the day. Wear good shoes, appropriate clothing for the weather and bring a good walking stick. Plan for your medications needs, snacks/lunch as appropriate. $2 Donation requested. The following Activities are co-sponsored with partner organizations. Please check the current Active Living for dates. The fourth Thursday of the month from 11:00 to 2:45 am, SHIBA provides a free overview of Medicare. Statewide Health Insurance Benefits Advisors (SHIBA) is a free unbiased and confidential service provided through the Office of the Insurance Commissioner. Please sign-up in advance. Appointments for individual Medicare consultations are at 12 noon. Call SHIBA at 360-586-6181 Ext 134 to make your appointment. 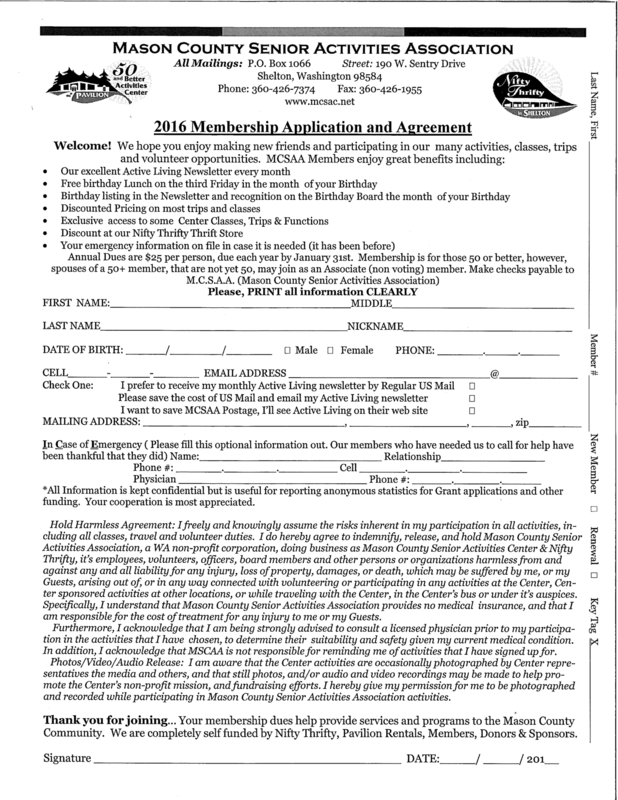 Community Services MCSAA Membership not required. *Call 360.426.7374 and ask for Vita Echeverria or Stephanie Roberts for volunteer opportunities.